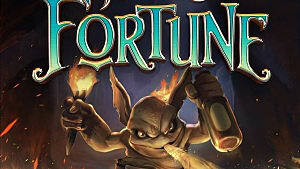 Albion's venture into CCGs with Fable Fortune still has some balancing to be done in Early Access, so there are clear winners and losers in the class categories -- even for those who haven't mastered deck building and working around the meta yet. 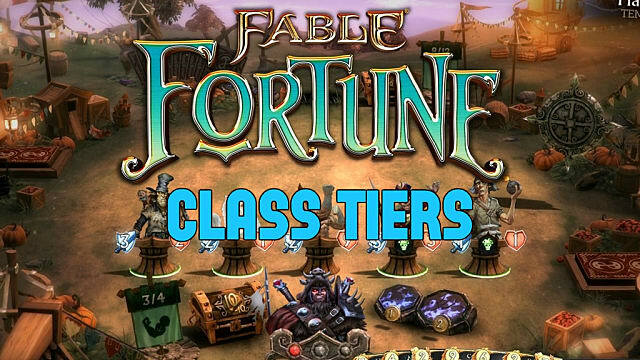 Below we rank each class from best to worst. How did we come up with these rankings? Each class was examined based on their class ability, class-specific cards, how those cards interact with the neutral cards, and how quickly they can complete quests to upgrade morality. Before anyone loses their minds and goes all keyboard warrior on the rankings: clearly there's some wiggle room based on personal experience and skill level. A well constructed Knight deck can potentially win against a poorly constructed Shapeshifter deck, especially if you get unlucky on the card draws. But in general terms, these are the best and worst classes for overall win ratio. 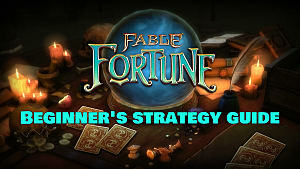 Hands down, there is not a better Fable Fortune class at the moment than the Shapeshifter. Even a basic deck with no thought or strategy can annihilate the competition. Blooded Balverine is quite powerful for a 3-gold card that can be played the first turn and heals itself whenever destroying an enemy creature, while the upgraded 5 cost Predatory Balverine pumps its strength in addition to its health. If you like to always have tons of options available, a combo of Wild Rend (or even just the straight Shapeshifter class ability) + Blood Frenzy will see your hand flooded with cards. 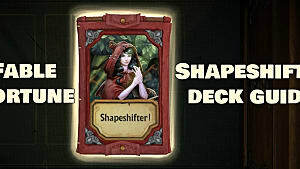 The Shapeshifter doesn't lack for spot removal or board clearing either. 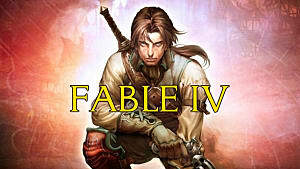 Ambush lets you deal 4 damage to any enemy -- including directly at the opponent -- for 3 gold. Compare that to the Knight's Puncture card, which can only hit an enemy creature for the same gold cost. Surge Of Fangs is also one of the game's best board clearing cards. Snarling Lunge is just absurd. For 3 gold (meaning it can be played on absolutely any turn, since you start with 3 gold) you deal 4 damage direct to the opponent and heal yourself 4 health. That's 8 health for 3 gold -- and if you're smart, you're doing that twice per match. Couple that with the Evil power Ferocious Rend, and it doesn't really matter how much damage the opponent gets through. By building a Balverine deck bolstered with Neutral Hobbes or Bandits, it's incredibly easy to get into a rhythm of remove, heal, damage, remove, heal, damage...and cruise to the win. 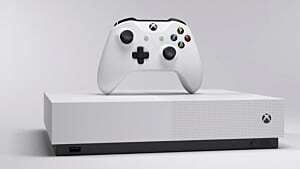 Wanna win? This is your lady right here. 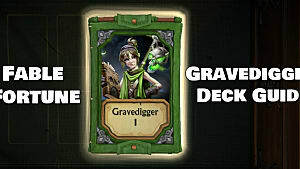 The Gravedigger is really the best foil to the top tier Shapeshifter decks at the moment, although you're still going to have to play well and will likely be low on health when the win finally arrives. Requiring a bit more forethought and skill, Gravedigger is all about going against your instincts and killing your own creatures to cause cascading waves of new and bigger creatures to appear. If you are killing your own creatures each round (and you should be), two Profane Magicians at a measly 2 gold a piece can be a sudden win condition in the late game. If you get lucky and combo that with Cullis Master's ability to return cards to your hand, you can potentially deal 9 - 12 damage straight to the opponent in one round. Spitecaster and Cemetery Bannerman both ensure an endless stream of small units to vex the enemy and keep your board flush with victims to kill for Eulogy effects. With Necroblast for spot removal and Hunger For Knowledge to keep your hand heavy with cards, it's not hard to get ahead on board tempo and dominate all the way to victory. Master of all things healing and health-related, the Prophet can outpace an opponent just by keeping himself and his creatures alive longer. 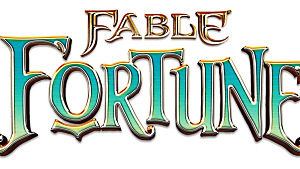 The only thing keeping this system from becoming absurd is Fable Fortune's inability to raise a player's health above max. If this were Magic: The Gathering, the Prophet would be one of those ludicrous life gain decks where you end with 50 or 100 health. When you choose your morality for completing quests, either option can be helpful -- but at healing yourself 4 health for 2 gold, the Good version ensures you will outlast your opponent unless they have a seriously aggressive deck. Wear Away isn't quite spot removal, but it does handily neutralize any big, beefy creature your opponent has been buffing up. Leeching Swarm is a must-have x2 card, helping to clear out the board while healing you. Since so many of the Prophet's cards are based around healing, the big factor determining how well the deck does is in your Neutral card choice. Because of the ability to raise a creature's health above maximum, Wasp Queen is an endless factory of 1/1 creatures and fits nicely in just about any Prophet deck. Spot removal, silence effects, and direct damage combos will be your bane here. So long as you can keep putting creatures on the board, its unlikely your opponent will be able to outpace you on the tempo front. Now we're hitting the bottom tier, where the following classes just objectively aren't as powerful as the above three. The equivalent of the small creature Plains deck from Magic, the Knight is all about putting as many tiny peasants out as possible and then comboing them to get bigger. There are lots of options on that front, but obviously they aren't as powerful as many creatures from other decks. Master Of Bacon can get built up to a high strength, but he he's easy to remove before he can get any hits straight to the opponent. Your only real board clearing option is All Peasant And Correct, which turns all of your and your opponent's creatures into 1/1 peasants. Puncture is what passes for spot removal on the Knight side -- but as mentioned before it's less versatile than similar cards from other classes. Because you have a flood of small creatures, board clearing spells will annihilate your rhythm and put you back on the tempo, making it difficult to stay ahead. There's a reason you don't usually see armies of peasants winning wars! All around, this is just a bad class. Yes, you will frequently have loads of gold and a flush hand. But since you don't have many cards worth playing, that doesn't really matter. Blockade is actually a useful card, giving all your creatures Guard and a boost for a turn, so it can keep you in the game while trying to regain control. Your spot removal is Cast Away, which not only costs more than the removal cards from other classes, but still lets the opponent potentially cast the creature again down the line. At an 8 gold cost, Horn Of The Deep has got to be the most expensive board clearing card in the game. 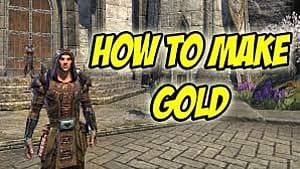 To make Merchant work, you've got to stay alive long enough to build up your gold and hand, then use all that extra gold to put out some strong neutral creatures. The problem is that by that time, the opponent will be so far ahead it won't matter, and the big bad you bring out will probably just get spot removed anyway. Who do you want in a mage duel? Not the rich guy with no creatures. Here we are, at the bottom of the barrel. This is actually my favorite class to play, but it has major flaws that are difficult to overcome against anyone who knows what they are doing. The most notable problem is the focus on buffing one single creature through Vials using your class ability. If you're lucky and the opponent has no spot removal cards at their disposal, then you're large and in charge. But anyone who has built a half-decent deck is going to get ahead in the board tempo to a point that becomes impossible to overcome. Chain Reaction is too unpredictable to be useful as board clearing or spot removal, and Liquid Fire is as sad a board clearing card as there can be. If you can keep your menagerie alive long enough, you can get some powerful creatures with Jar Of Ogre Slobber, Potion Of Youth, and Recipe For Success. The only way to make this deck work is to remain aggressively in control of the board during the early game, and lure the opponent into wasting their spot removal and board clearing cards before you start pumping your one or two main creatures. What did you think of our rankings, and what's the strongest deck you've faced off against so far? Let us know in the comments below!